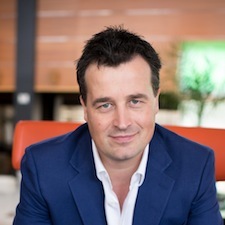 Frans Van Hulle is the CEO of ReviMedia, a lead generation platform and company he co-founded with Bas Offers that specializes in developing and executing direct response marketing campaigns serving the insurance, home security and new-car buying industries. Van Hulle is a serial entrepreneur, having founded multiple companies in the past. He is an accomplished affiliate marketing professional and currently lives in Panama. Great show Frans, Drew and Tess! I really enjoyed how Frans described how he purchased PX.com knowing it had a base value that was increasing, tried it as a separate business, and then went all in. It’s smart business planning, limiting his downside while taking full advantage of the upside. I enjoyed doing the first interview with you, Frans, and it was great to hear the follow-up. Continued success to you and your team! Thanks, Frans, Drew, and Tess, for a great and enjoyable show. Lots of nuggets of information. Always appreciate everyone taking the time to do these shows and help the domain community! @Platey I agree with what you say and that should be obvious. But when evaluating a domain name for a particular business, you have to start with a baseline in order to compare apples to apples. Meaning, the vision and the execution are a “given” or a necessary “assumption”. If a business plan is crap, then it doesn’t matter which domain they choose. Maybe a great domain will keep them alive a bit longer than a crappy one but the business is still crap. So you have to assume that the vision is sound and the team will execute and you are assessing which domain name will put the most wind in that businesses sails. Domain names are the foundation of any brands digital identity. Period. When we evaluate a domain we are not evaluating the downside as much as the upside. Meaning, does a particular domain put a CEILING on how big your business can grow? A domain like Amazon.com or PX.com have NO CEILING. You can be a $10 Million company or a $100 Billion company (or in the case of Amazon a $1 TRILLION company!). Size is the ultimate variable, everything else gets treated as a constant. Hardstikker leuk om een ”slimme” Hollandse jongen of DomainSherpa te zien . Heb nooit its over je gehoord,maar ik zal eens kijken wat zaken je doet . Heb wat .NL domains te koop ,weet niet of je er iets mee kan doen . I really enjoyed this show, some very good points made. Thanks everyone. I hope Frans doesn’t take this the wrong way, i mean it with all respect. Thanks again for the great show and everyone’s time….